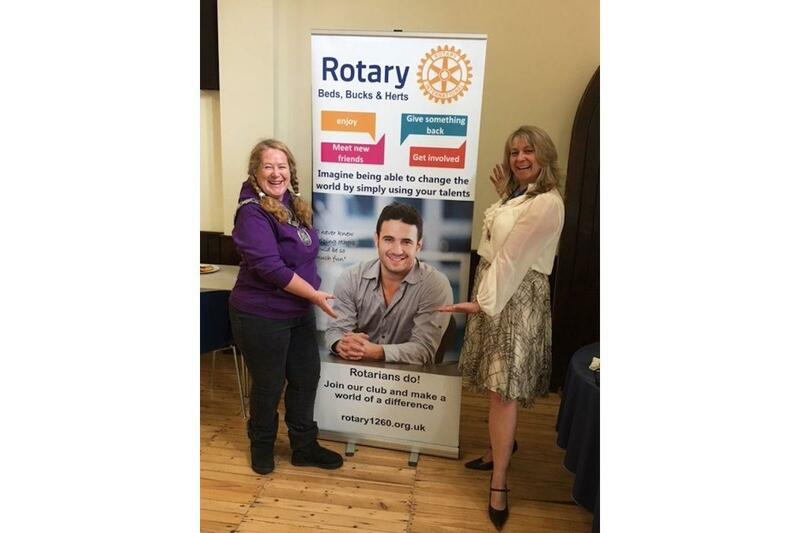 On Saturday 12th May 2018 the Rotary Club of Chesham once again organised the annual Stroke Awareness Day held at the United Reform Church in Chesham Broadway. As in previous years it was well supported and a total of 91 people were seen on the day and had their blood pressure taken. A number were advised to have a follow up appointment with their own GP to be checked again to make sure everything was okay. The photos show the new Mayor being booked in for her blood pressure to be checked, probably normal at the start of her Mayoral Year but we will check it at the end of her year to see if it has gone up, or even down! You can also spot one of our Rotarians in the background enjoying a chocolate biscuit and a coffee which was on offer once you had been checked. It was very good to have both the new Mayor and the outgoing one supporting our Stroke Awareness programme as can be seen here and clearly enjoying the experience. Thank you to both of them for attending.